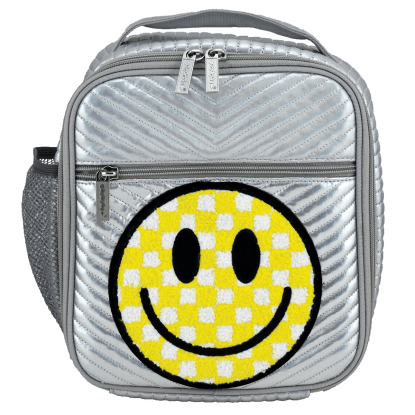 The perfect bag for all of the things that make you happy! 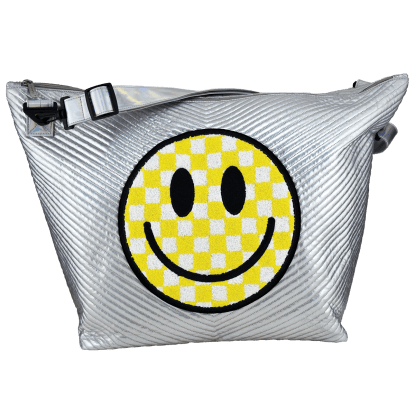 Our checkered smiley face chevron large cosmetic bag smiles at you each and every time you look at it. 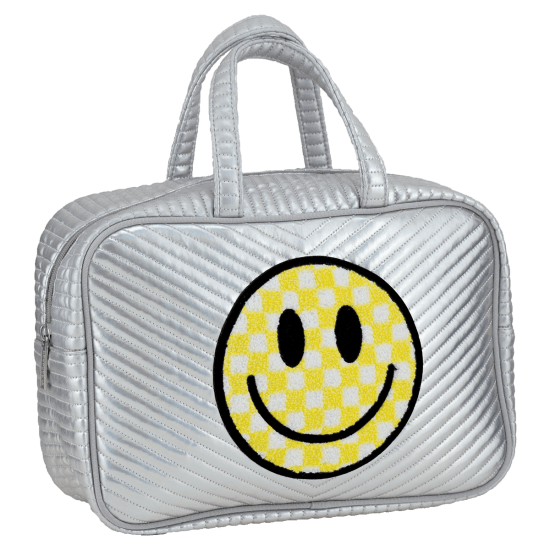 With double carry handles, this quilted metallic bag is easy to transport from place to place. 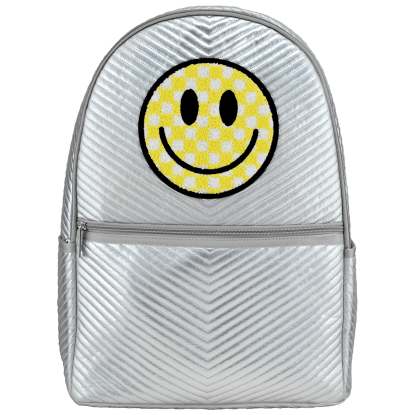 Fill it with your go-to beauty supplies, your prized sticker collection or art supplies. It makes a great gift for anyone who brings you joy!